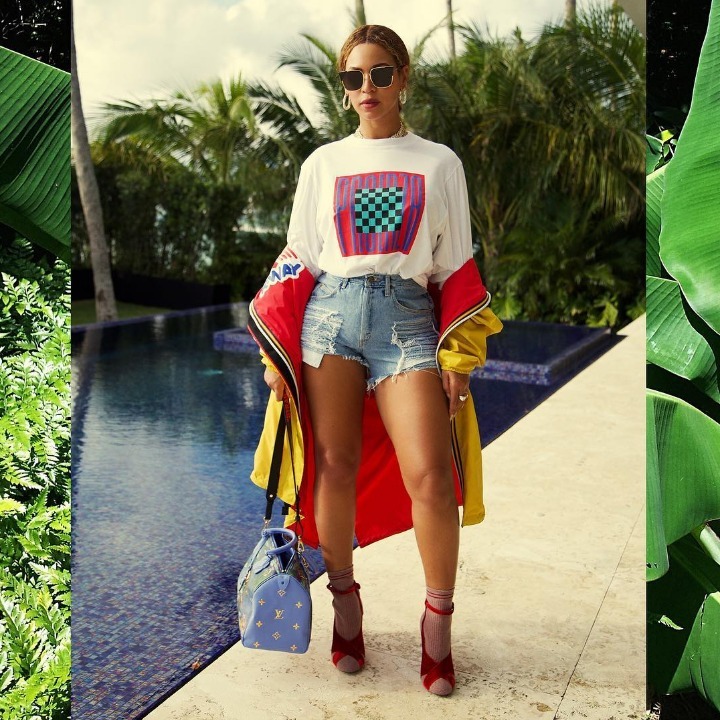 Whether you’re searching for Beyoncé’s most fashionable looks, or just after all the best pieces she’s served on the ‘gram, consider this your one-stop shop for all the finest Beyoncé style from the BeyHive. Now that we've been to Beychella, we’re being taken back to school with the best of Beyoncé outfit choices. So, start taking notes, the Beyoncé Street Style masterclass is in session. As modern as it is breathtaking, Beyoncé showcases her love of contemporary style in an all-white outfit. Steal her style for evening events and work an urban feel with Parisian chic, because there’s no way you can go wrong styling an Alexander Wang deconstructed dress with a pair of Saint Laurent Amber pumps like she does here. Channeling the bold and bright tones of 80's fashion, Beyoncé adds a touch of signature sophistication to this clash of colors. With a Dsquared x K Way reversible windbreaker and a Louis Vuitton Speedy bag from Jeff Koons The Masters collection, this outfit is an example of Beyoncé’s ability to rework classic pieces. Cement the look with a Proenza Schouler PSWL T-shirt. Even in feminine looks, Beyoncé adds drama to her outfits with modern pieces. Contrast the soft detailing of her Zimmermann Breeze dress with these sleek Off-White ‘For Walking’ pumps to liven up your day-to-night style with contemporary contrasts. Mixing athleisure with ladylike separates is a daring choice, but finished with a pair of Gianvito Rossi Plexi boots this look plays with proportion and textures and forces you to pay attention. 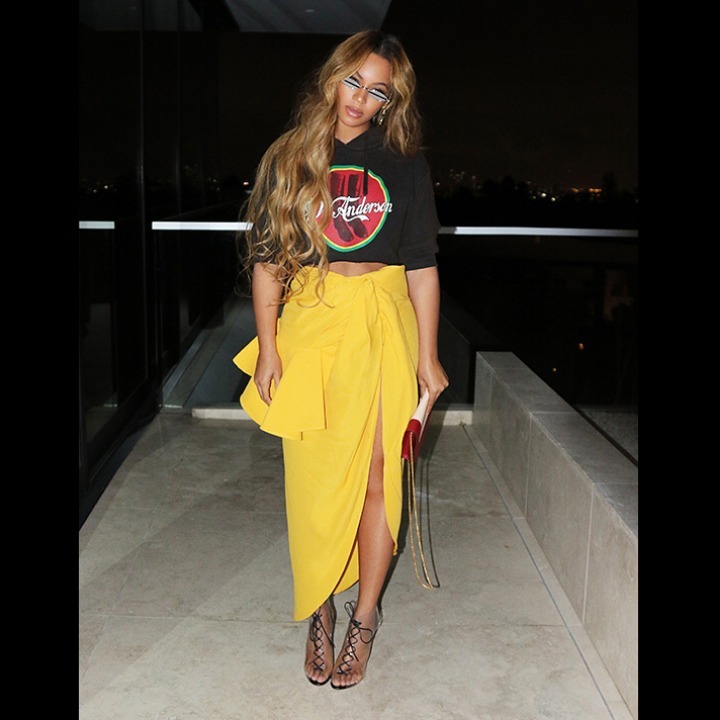 Take a cue from Beyoncé and invest in the designers of the moment with this Jacquemus Sol Skirt and J W Anderson Cola Boots hoodie.